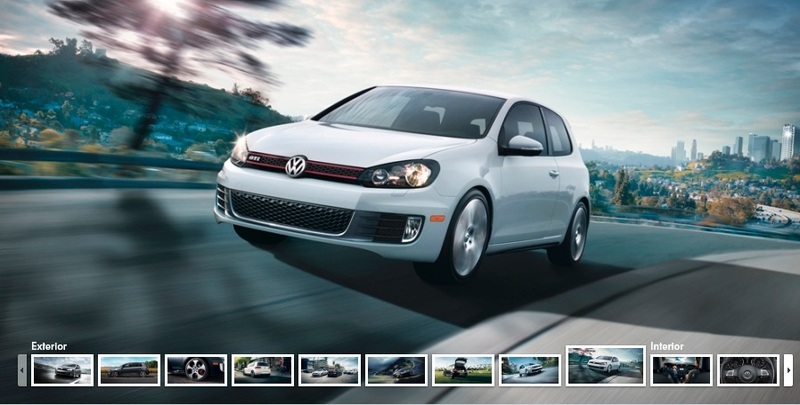 The all new Volkswagen GTI 2011 ranks in the number one spot among upscale small cars. Our ranking is based on analysis of various published reviews and test drive data for Volkswagen GTI. Volkswagen GTI receives minor changes for 2011, with a reputation of a quick performance and amazing interior. In 2011, Volkswagen has made several changes by adding chrome exhaust pipes, angular headlights and modern interior to compete with Audi. The Volkswagen GTI interior is treated as one of the best in the class. The interior is outstanding and it has received minor updates for the year 2011. All trims come with Bluetooth technology, nice steering wheel and 18 inch alloy wheels. There are extra ordinary features added in the premium package. Volkswagen has not changed the systems because Volkswagen GTI is one of the best driving sporty hatch backs available. 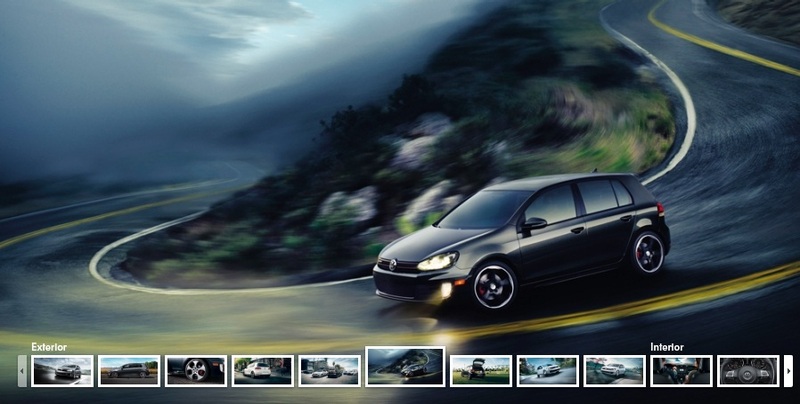 The 2011 GTI is the best in the class. It is the perfect small drag racing car, especially for the driving enthusiasts. The 2011 Volkswagen GTI is the perfect car for people looking for sporty performance and wants to save money on fuel consumption. However, the price has been increased for the New Year. The price of Volkswagen GTI starts at $23,428 for the two doors and $24,269 for the four doors. The price is on a higher side, especially if you choose the optional features like the $2,815 Autobahn package, which includes power sunroof and quality leather upholstery. The best alternative would be BMW 1 Series, especially if you love to drive. The Volkswagen interior has no match in the class. The Audi A3 also offers quality interior, but Volkswagen GTI stays ahead. The 2011 model is very similar to 2010 model only minor changes and added features. If you want to save money, look for the 2010 model in the market. However, you will be lucky to find the 2010 model in the market. 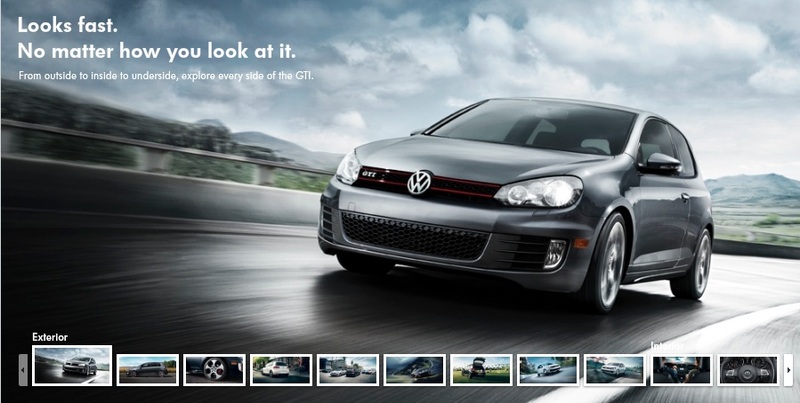 The 2011 Volkswagen GTI available in two door and four door model. If you are looking for a car that offers seating for your family, then the four door model is the best choice. These trims are associated with different features available in GTI like Sunroof, Sunroof and Navigation, GTI Autobahn. Moreover, every added extra feature will add a couple of thousand dollars in the base price. Volkswagen GTI is an impressive performer. Test drivers are happy with turbo charged four cylinder engine and smooth transmission that provide excellent driving experience. The electronic differential system called XDS enhances the traction in fast corners. The 2011 Volkswagen GTI comes with four cylinder turbo charged engine, which produces 200 horsepower and 207 pound feet of torque. There is manual standard six speed transmission. However, there is an optional six-speed dual-clutch automated manual DSG transmission. Volkswagen GTI offers plenty of power that test drivers admire, but some wish that there should be more horse powers in the engine. The fuel economy is very good with 21 mpg in the city and 31 mpg on the high, but it requires premium fuel. These are best fuel ratings in small upscale car class. It is an added advantage when you are purchasing the new Volkswagen GTI. The handling is quick and very light, which makes Volkswagen GTI excellent handler. Steering is also appraised by many reviewers as responsive and precise. There is an electronic differential system as standard called XDS, which helps increases the traction on difficult corners. Test drivers are happy with this system because most of the front wheel drive lacks traction at high speed. The interior of 2011 GTI receives plenty of praise from many test drivers. The high quality materials, luxurious feel and supportive front seats have no match. There is also standard front heated seats usually you have to pay extra for the feature. The new updates are steering wheel with audio controls, climate controls and a touch screen interface. The front row seating is more comfortable and supportive. There are new fabric features like striking plaid pattern. The rear seats are most spacious in the class and appraised by reviewers. There are many standard and optional features like single zone climate control, metallic trim, Touch screen Premium radio with an in-dash CD player, Bluetooth, an auxiliary input jack, cruise control, a leather-wrapped steering wheel with audio controls, satellite radio, and heated front seats. There is premium Dynaudio system that is highly recommended because the standard audio system is outdated. The Autobahn package adds more thrill with leather seating, power sunroof and front sports seats. 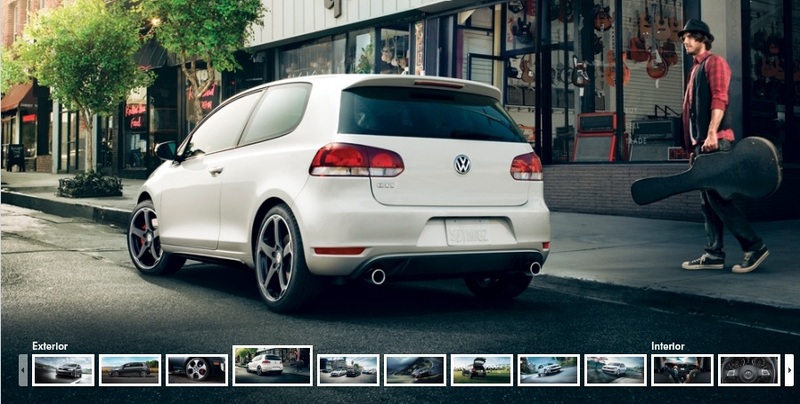 There is optional DVD Satellite Navigation with integrated 30 GB hard drive in GTI. The Volkswagen GTI comes with LCD touch screen whether you opt for the navigation system or not. All the electronic systems are easy to use, but the navigation system is criticized for its poor graphics. There is also a new iPod interface, which makes it easy to select music tracks. The cargo space is also good with 15.1 cubic feet of space. The exterior styling is attractive, both the two doors and four doors are sporty and striking. There is laser seam welding being used in Volkswagen GTI rather than spot welding. The 18 inch Detroit alloy wheels make the GTI even more appealing. There is a logo handle, which hatch out upon pushing. It is a new attractive feature added to the Volkswagen GTI. There are red brake calipers, especially painted to highlight their high stopping power. The overall design is attractive and liked by many reviewers, but some of them demand more promising back lights. The Volkswagen GTI receives four out of five stars rating for driver and passenger safety in front impact crash tests. There are also many standard safety features in GTI like anti-lock brakes with HBA, electronic brake pressure distribution, intelligent crash response system, stability control, front seat side airbags and full-length side-curtain airbags total six airbags, and hydraulic brake assist. Volkswagen GTI comes with three year or 36,000 miles basic warranty and five years or 60,000 miles power train coverage. There is also twelve year distance anti corrosion warranty. A big plus is no charge schedule maintenance program for three years. Yes, I love it too. I love the new volkswagen GTI. I haven’t seen any sports cars reviews or any convertible. Sports cars reviews will bring you more visitors. Try to review all the Ferrari models. Thank you! please keep visiting we will be adding more reviews to the blog. Currently we are trying to improve our quality to be the best review blog online.